Sandra Alvim, author of Yes! 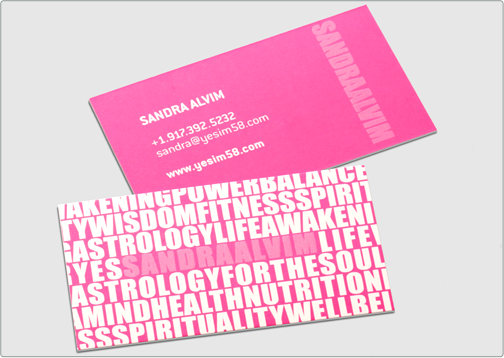 I'm 58, promotes her name, and the awareness of her product and service through this vibrant Silk Business Card. 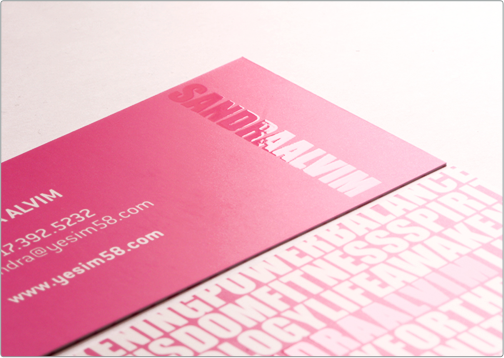 The design of Sandra's business card uses a hot pink color palette with spot gloss over her contact information to further highlight her brand. 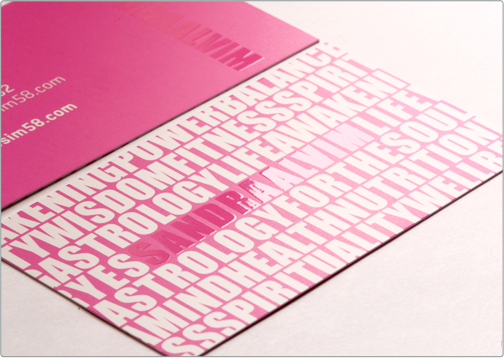 The typography on the front of her card completes the design with a bold and modern look, while providing a glimpse of the contents of her book.